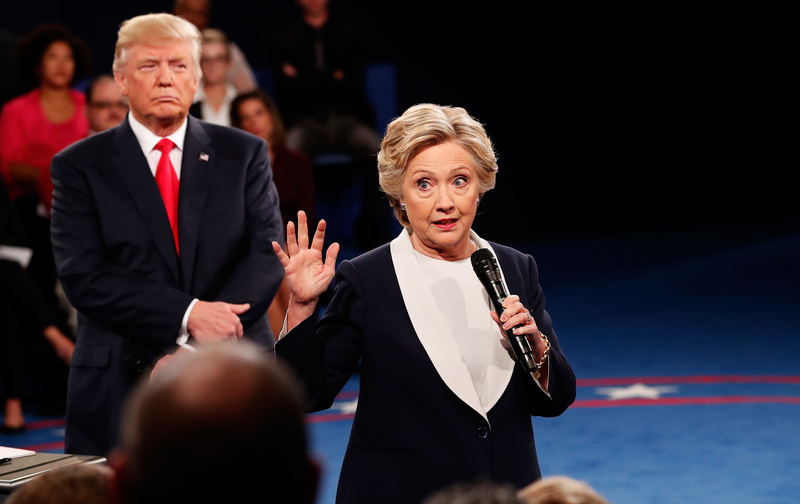 The first question of the second presidential debate inquired about the low-brow nature of this presidential election and the potential impact on children. Honestly, this election cycle is like nothing we’ve seen before, and parents on Twitter are tweeting out their frustrations. Here are some thoughts that probably went through your head while you were watching the debate with your kid. Parenting while engaging in the political process this year might be hazardous for your kids and yourself. Watching the #debate with my son and daughter (10 and 13). I keep apologizing for our country. We are better than this. Parents are hoping their kids don’t accidentally overhear the debate. That says a lot. This might not be the best time to introduce your kids to our great democracy. "They just fight like a couple kids?" When SNL skits and the actual presidential debate are hard to differentiate, there just might be a problem. We’re actually all confused and disheartened, to be honest. "so, they're allowed to rip on each other?" But really, how did we get here? Some of us would rather suffer alone. Sadly this is the first debate that I'm not watching with my daughter. I was planning on watching this debate with my nearly 13 year old daughter. Now I think I need to send her to the other room. Sometimes you have to laugh so you don’t cry. 13 year old daughter currently watching last night's debate, and is laughing at these two louder than a 70's laugh track. My 12 yr old son asked what our backup plan was after watching the debate.